What is the pleural cavity, and what is its purpose? What medical conditions can involve problems with this part of the body? A pleural effusion is the buildup of excess fluid in the pleural cavity, the fluid-filled space surrounding the lungs. It is one of several disorders affecting the pleural cavity and one that can directly interfere with the expansion of the lungs and a person’s ability to breathe. The accumulation of fluids can range from anything from a few extra ounces to several liters. Viral infection and congestive heart failure are among the many causes. Similar conditions involve the buildup of air or blood in the pleural space. The pleural cavity is the space that lies between the pleura, the two thin membranes that line and surround the lungs. The pleural cavity contains a small amount of liquid known as pleural fluid, which provides lubrication as the lungs expand and contract during respiration. The pleural cavity’s role is to cushion the expansion and contraction of the lungs while ensuring it does so smoothly with the aid of the lubricating fluid. It also acts as a vacuum, with the difference in pressure between the lungs and pleural cavity creating the push-and-pull needed to inhale and expel air. Congestive heart failure (CHF) can cause pleural effusion due to the increased capillary pressure in the lungs. Hepatic hydrothorax is used to describe a pleural infusion caused by liver cirrhosis. It results from the movement of excess ascites fluids from the abdominal cavity to the pleural cavity. Malignant pleural effusion is a complication that occurs in around 30 percent of people with lung cancer. Malignant effusion can also occur with metastatic breast cancer, leukemia, lymphoma, and myelodysplastic syndrome (a disease of bone marrow cells). Infections like pneumonia and tuberculosis (TB) can also cause a build-up of fluid in the pleural cavity. While less common in the U.S. and the developed world, TB is considered a primary cause of pleural effusion in the developing world. Hemothorax is the accumulation of blood in the pleural space, most often due to chest trauma or due to chest surgery. 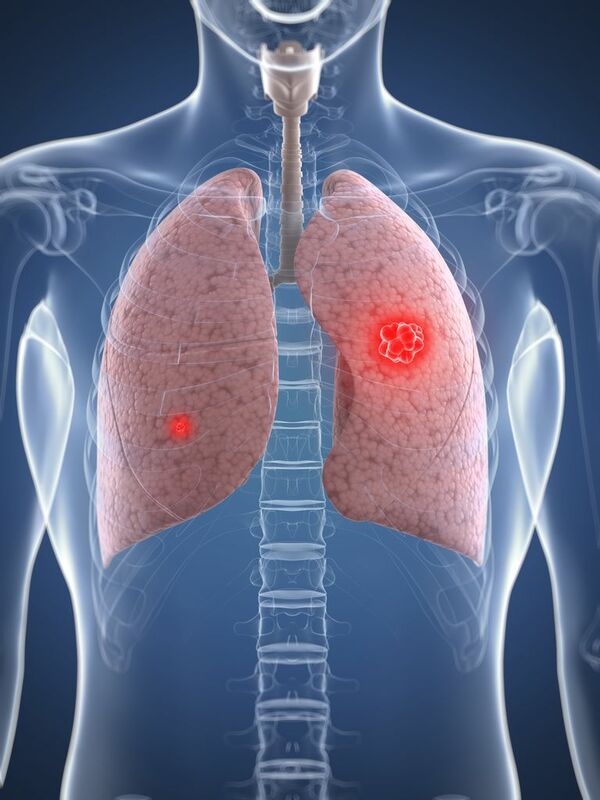 Mesothelioma is a cancer of the pleural membranes most commonly associated with asbestos exposure. If a mesothelioma is operable, surgery involves removing the pleural membranes and any affected underlying lung tissue. A pleural effusion is typically diagnosed with a procedure called thoracentesis in which a needle and syringe used to remove fluid from the pleural cavity. The pleural fluid is then analyzed under a microscope to identify the cause. If fluid or air remains in the pleural space, a chest tube or needle thoracentesis, respectively, may be used decompress the lungs. If symptoms recur or the pain associated with a chronic disorder (like mesothelioma) becomes severe, a procedure called pleurodesis may be performed. Pleurodesis is a palliative surgical procedure which involves the introduction of a chemical irritant into the pleural space. The resulting inflammation causes the two layers to stick together, forcing out air and fluid while easing a person’s ability to breathe. If symptoms still persist, surgeons may consider removing the pleura and pleural space altogether in a procedure known as pleurectomy. U.S. National Library of Medicine. "Pleural Disorders." MedlinePlus. Bethesda, Maryland; updated April 12, 2017.